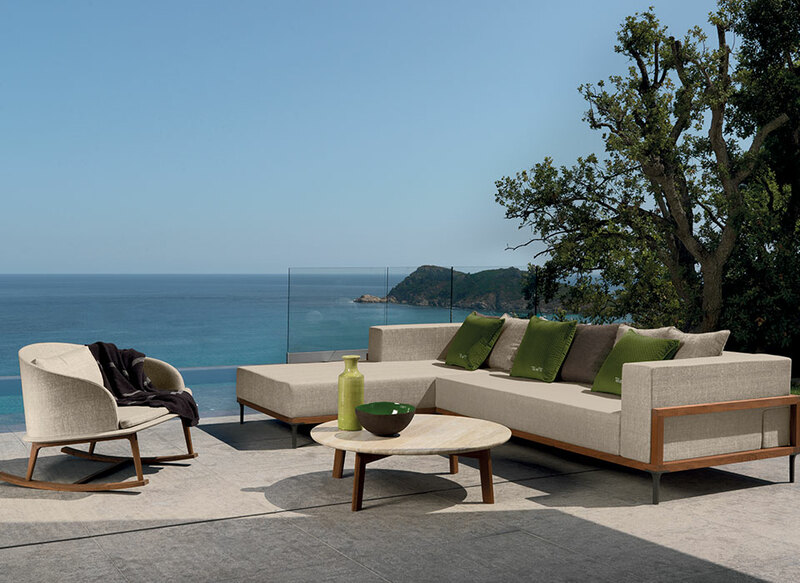 The two-seater sofa of Sacco collection is the perfect synthesis between comfort and Talenti unique style. 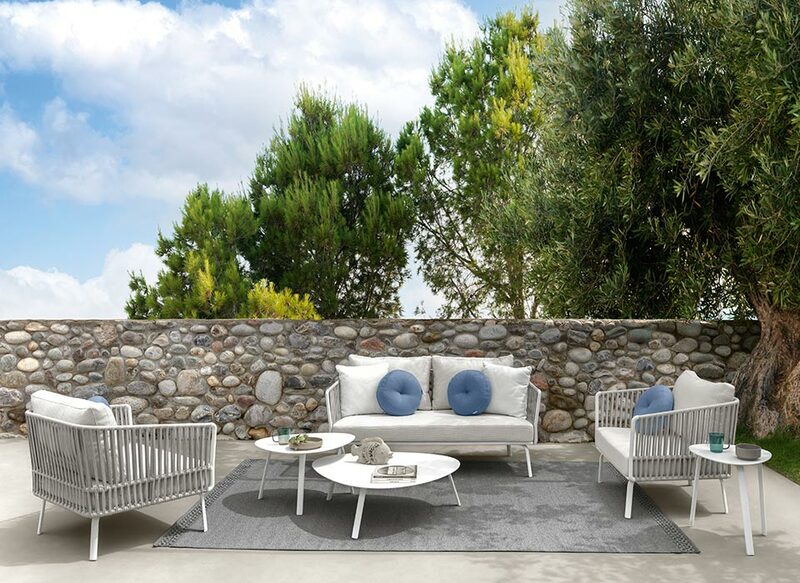 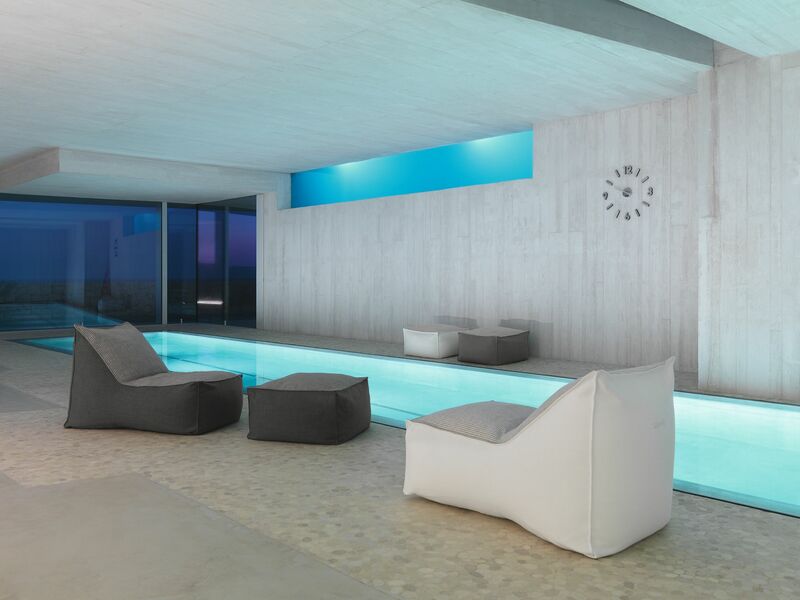 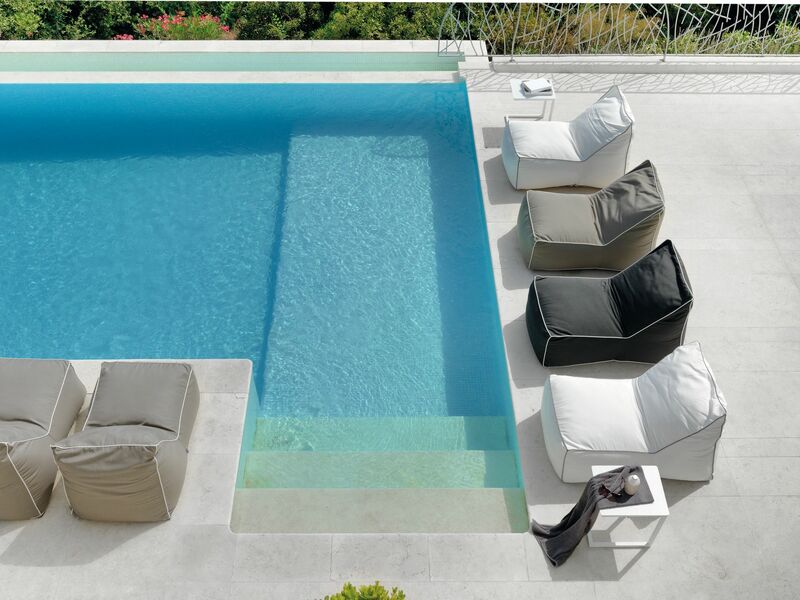 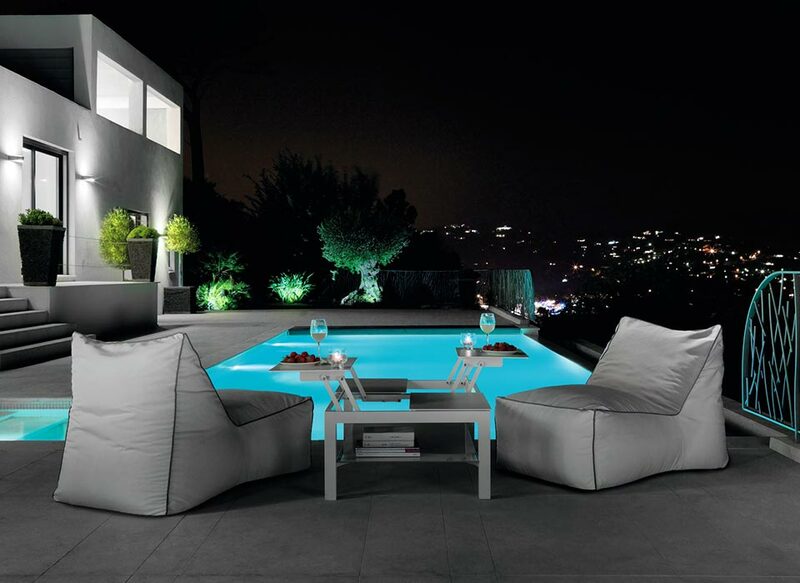 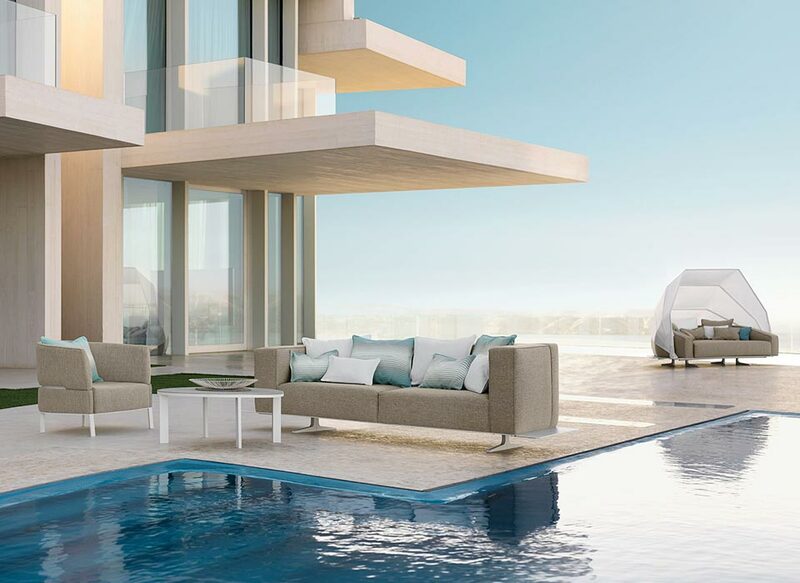 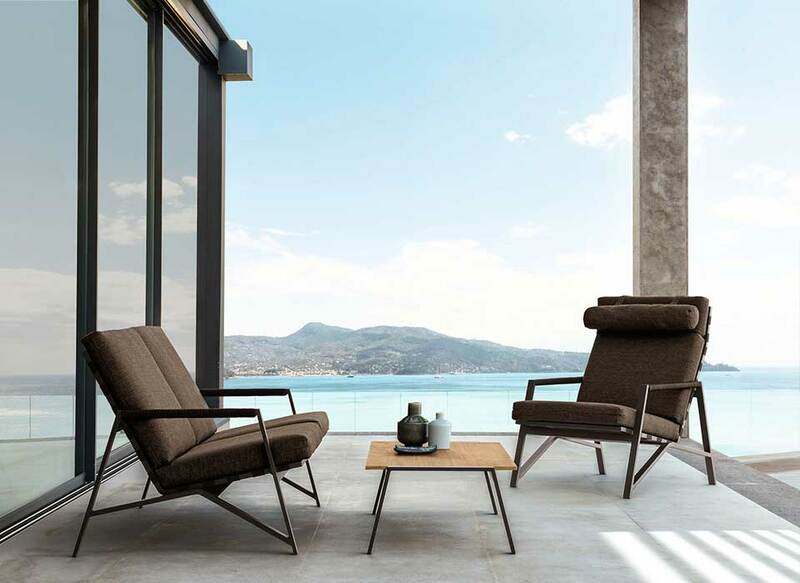 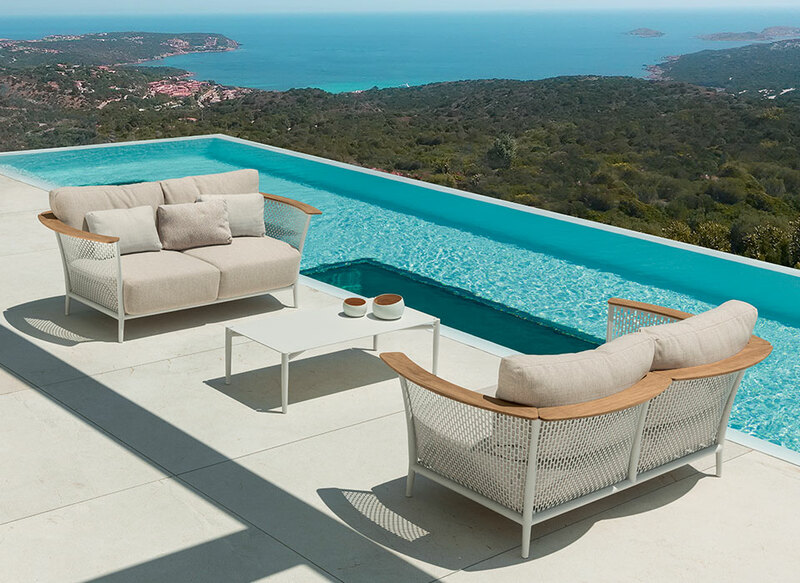 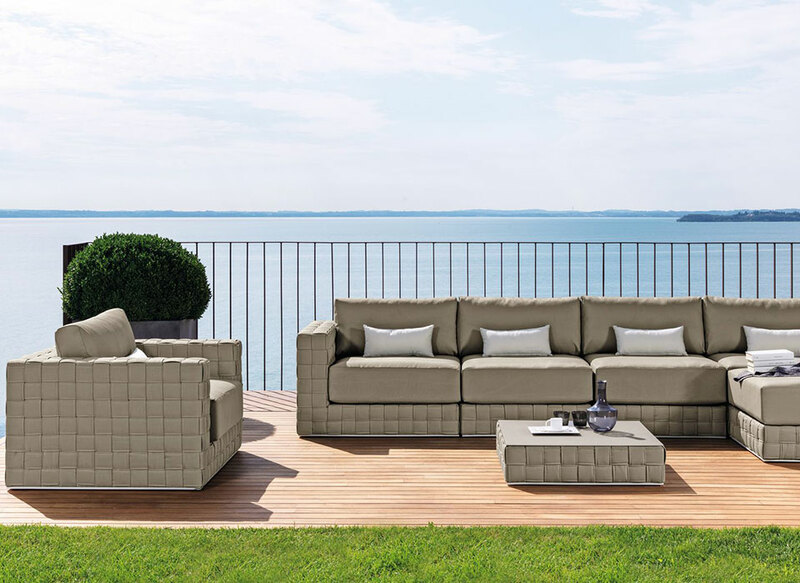 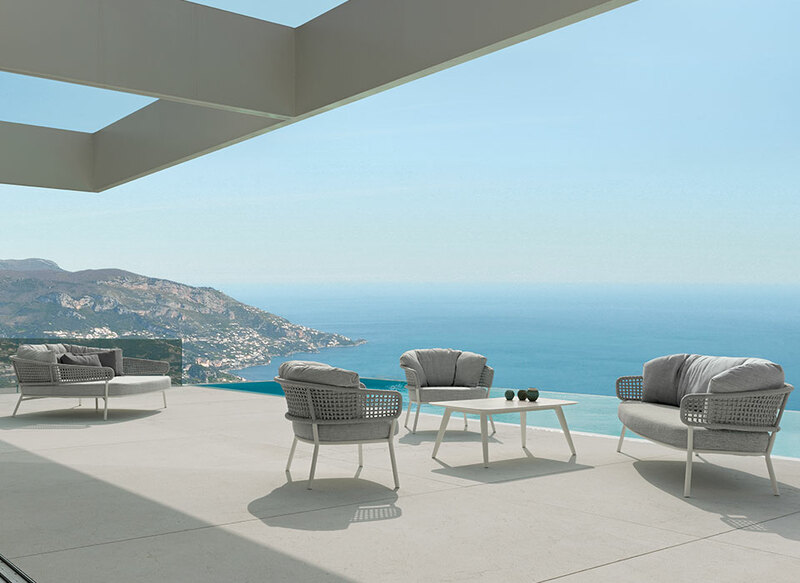 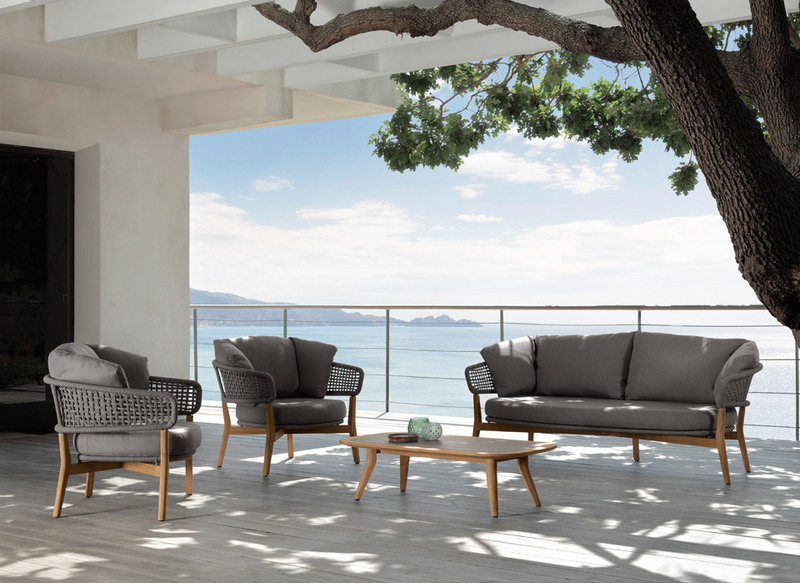 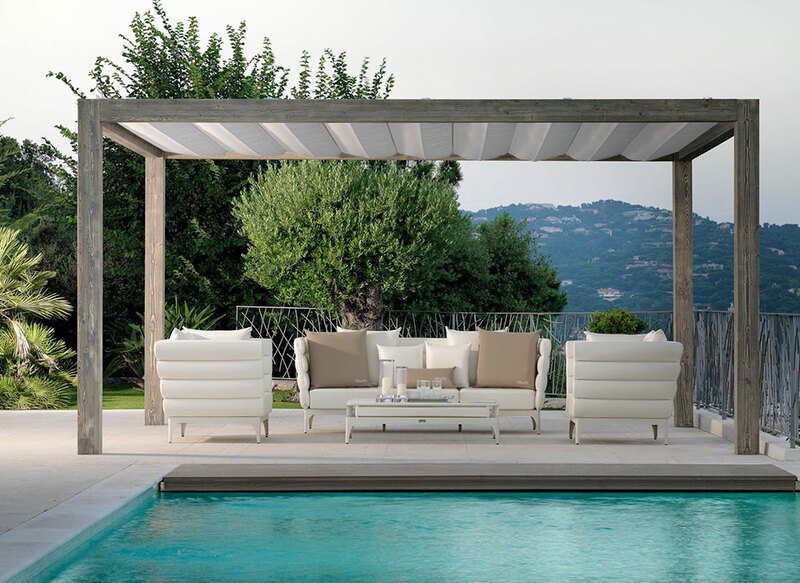 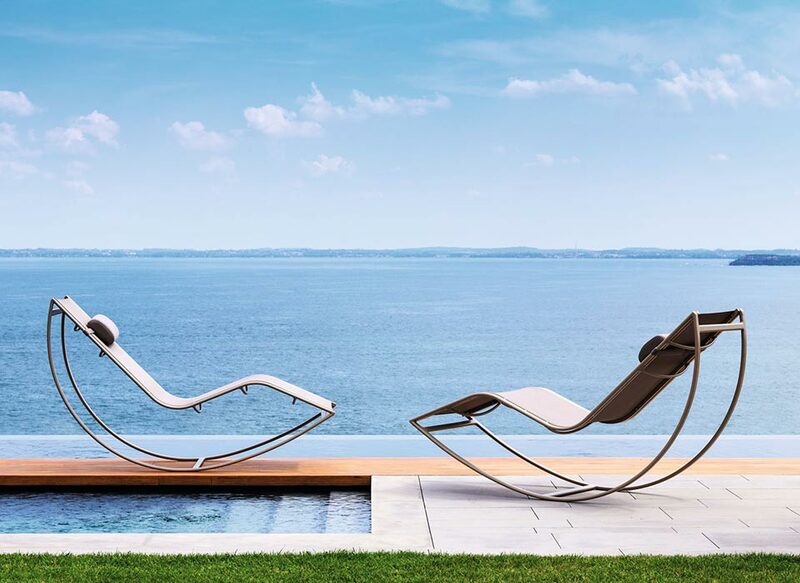 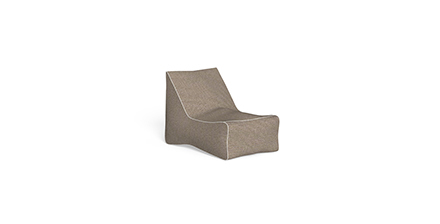 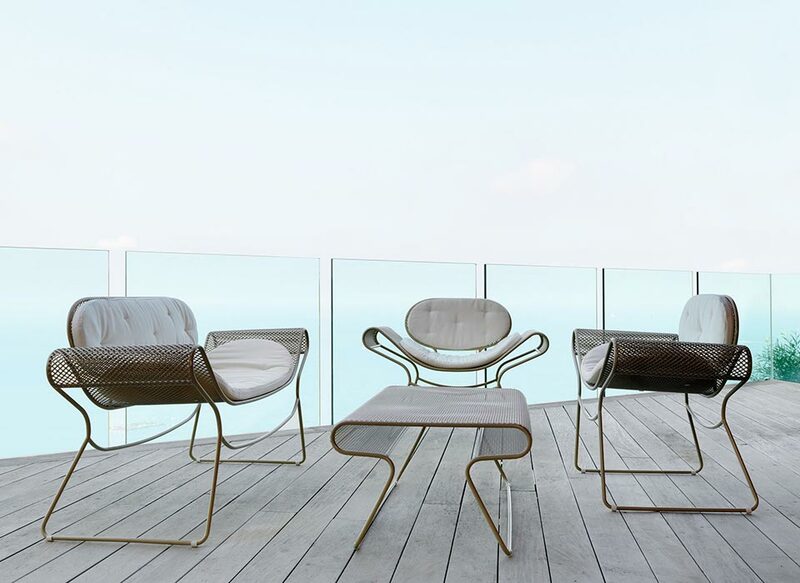 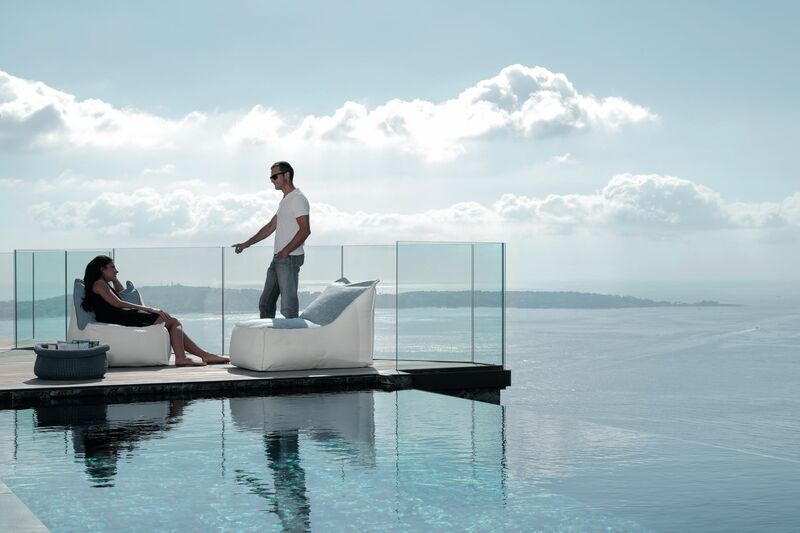 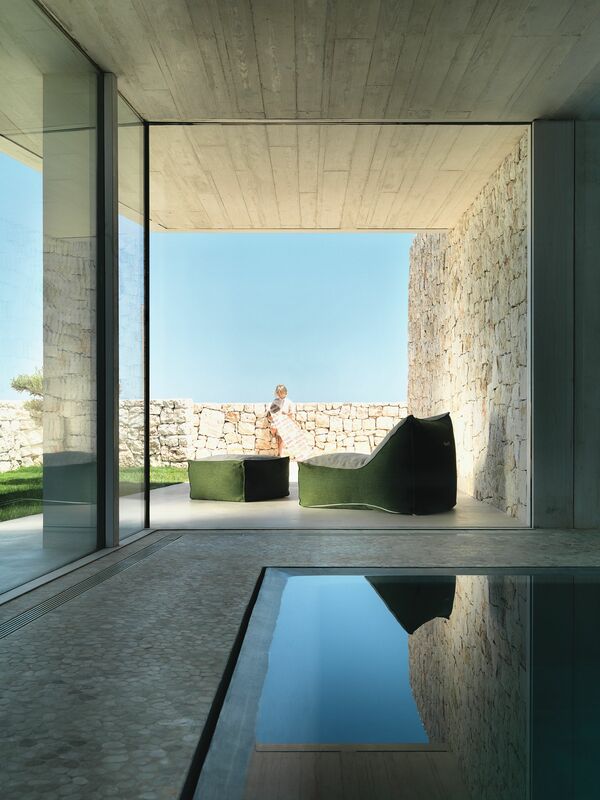 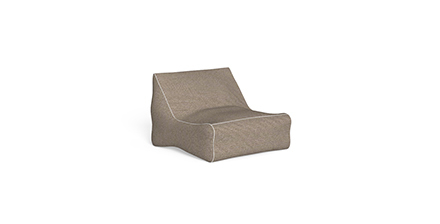 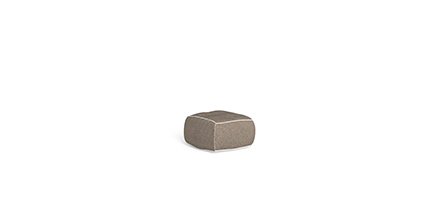 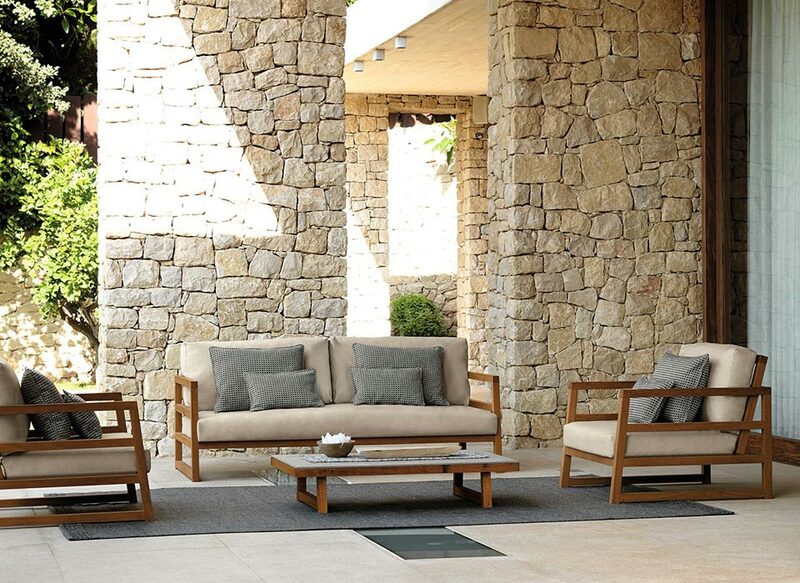 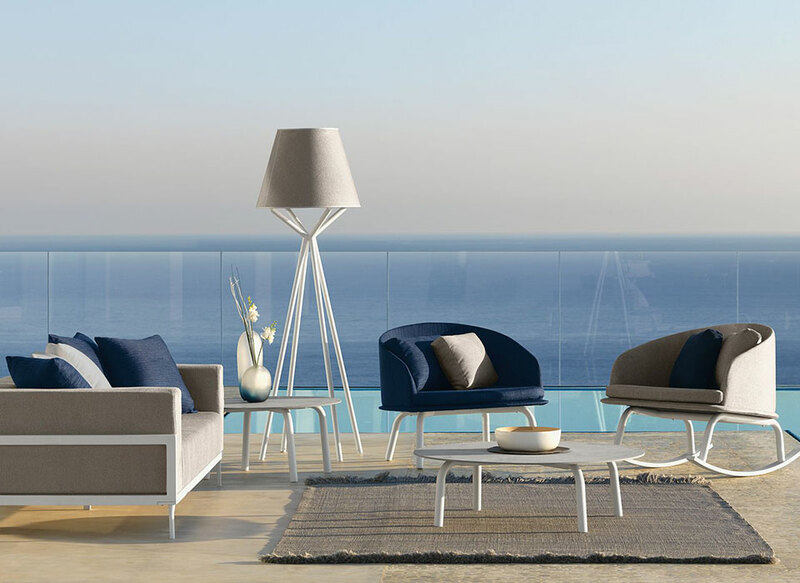 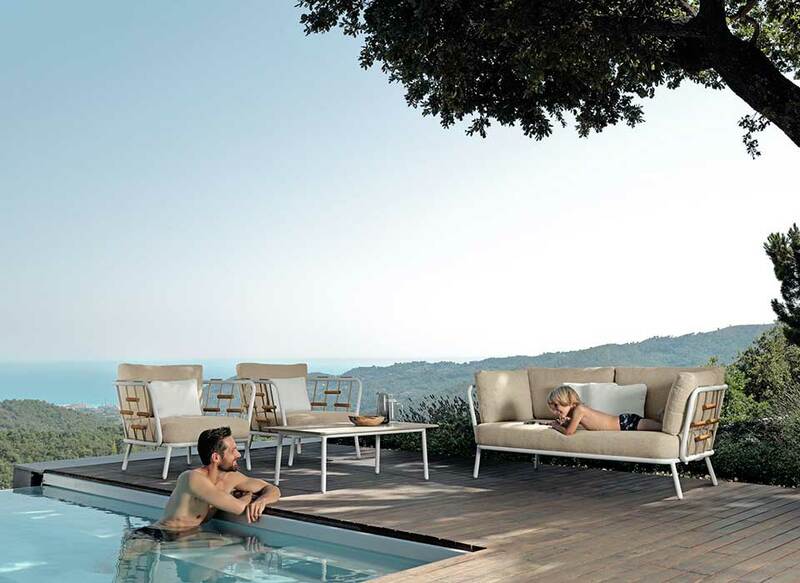 Its shape provides a high seating comfort while the colours of the fabrics grant sparkle and vivacity to any outdoor spaces, at the poolside or in your garden. 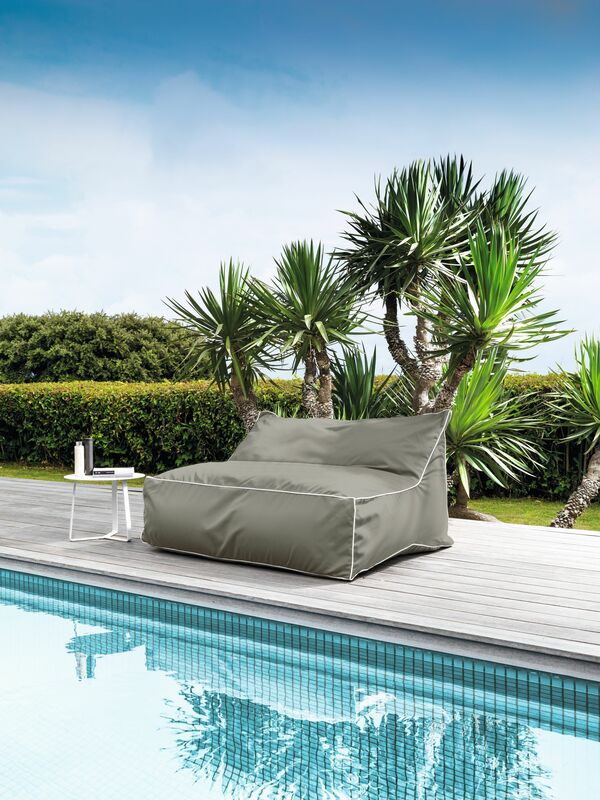 It is made with a breathable, removable, easy-to-wash and weather-resistant fabric. 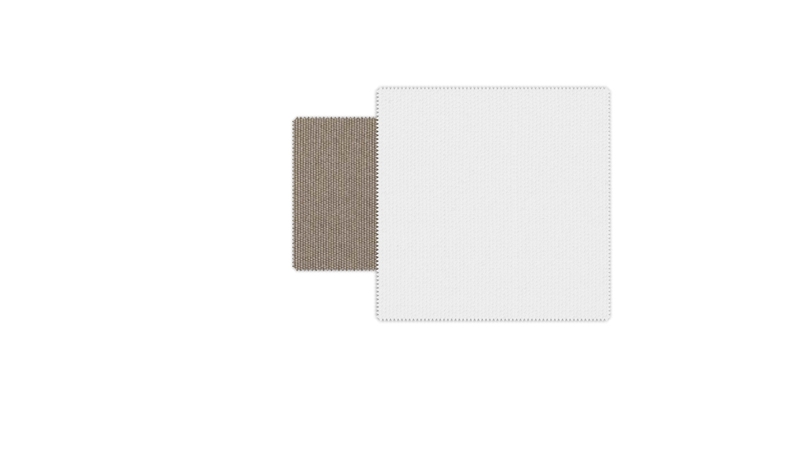 In the padding there are flakes of quick dry foam and polystyrene balls. 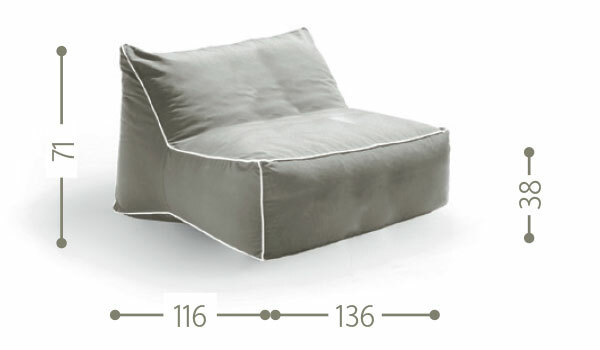 The fabric is available in the following monocolour tone: white, blue, green, taupe and grey. 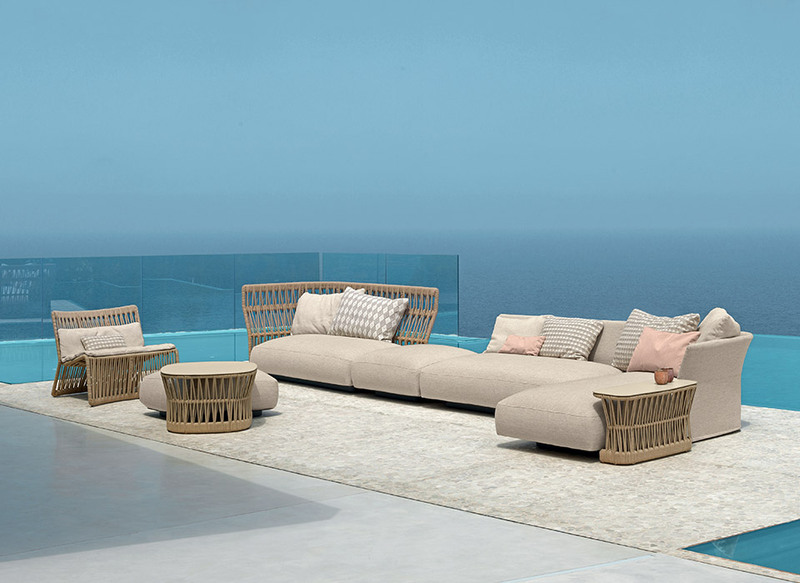 In the two-tone version the combinations are: grey and striped grey, green and striped green, taupe and striped taupe, white and striped blue.